Spend less time lesson planning; why Ofsted doesn’t want to see your lesson plan; and take your class on an epic journey with our KS2 book topic. 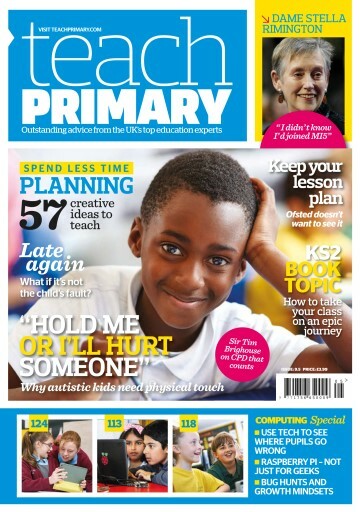 We’ve plenty of expert advice in this issue with Sir Tim Brighouse outlining how to make CPD count, Paul Dix discussing how to approach persistent lateness when it’s not the child’s fault, and professor Mike Askew offering some excellent collaborative games to improve maths skills. 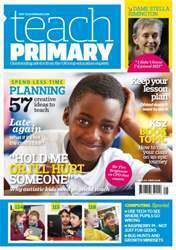 There’s lots to enjoy in our computing special too, with a punnet-full of ideas for using the Raspberry Pi in the classroom, supporting a growth mindset with debugging, and how the app Explain Everything can be used to tackle assessment without levels.